Two little girls go missing. The father (Hugh Jackman) of one of the girls finds and captures the man that he thinks took them. He will stop at nothing to get his little girl back. The film is written by Denis Villeneuve and directed by Aaron Guzikowski. The rest of the star-studded cast includes Jake Gyllenhaal, Terrence Howard, Maria Bello, Paul Dano, Melissa Leo, Viola Davis, Mike Gassaway, Dylan Minnette, Len Cariou, and Wayne Duvall. Kidnapping is not a new idea for a movie, but this one looks pretty intense. The cast is top-notch and the movie looks like it has potential. I think that I’ll have to check this one out when it hits theatres. The film is set to release on 9/20/13. 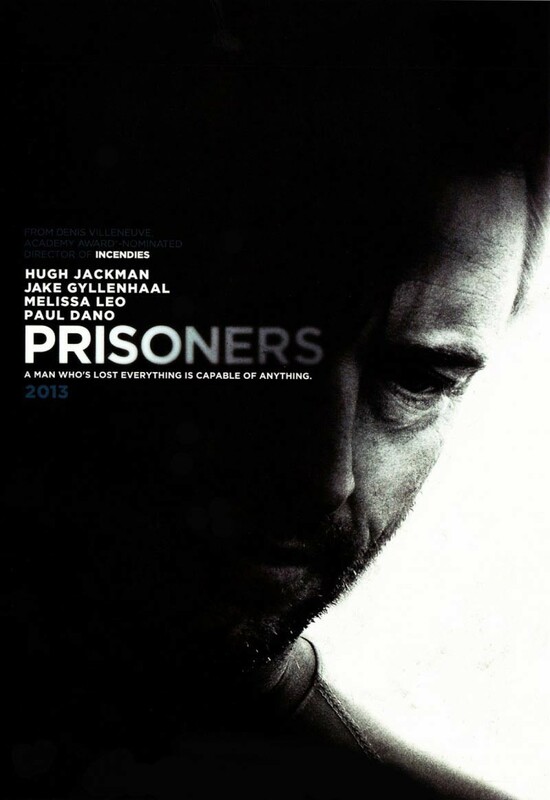 Posted on June 1, 2013, in Previews of Upcoming Movies and tagged Aaron Guzikowski, Denis Villeneuve, Dylan Minnette, Hugh Jackman, Jake Gyllenhaal, Len Cariou, Maria Bello, Melissa Leo, Mike Gassaway, movie, Paul Dano, Prisoners (2013), Terrence Howard, Trailer, Trailer for Prisoners (2013), Viola Davis, Wayne Duvall. Bookmark the permalink. 4 Comments. My thoughts exactly. Give a story like that a good cast and it should be worth it.